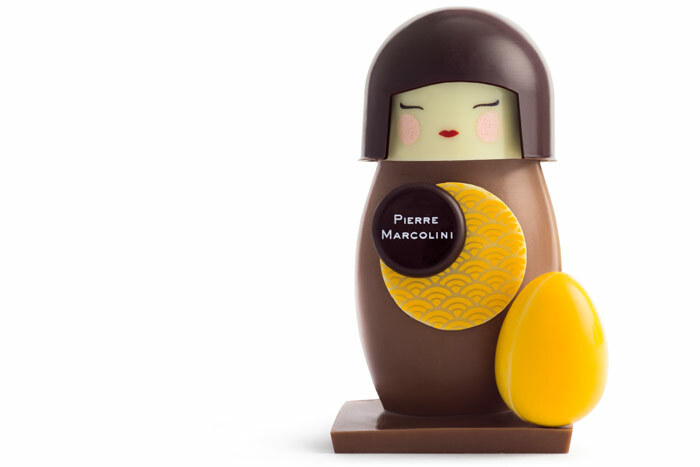 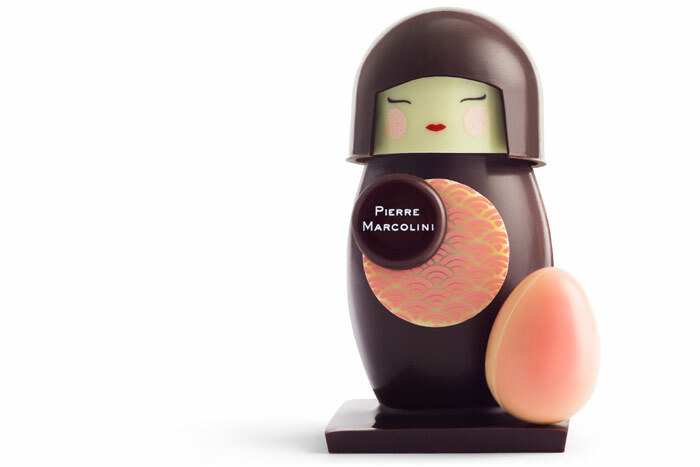 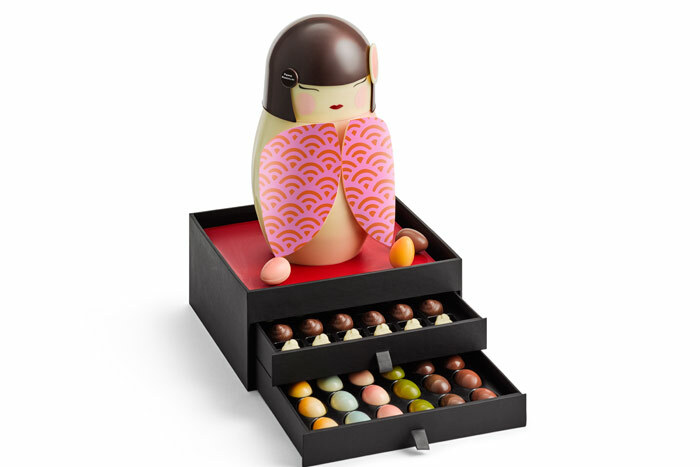 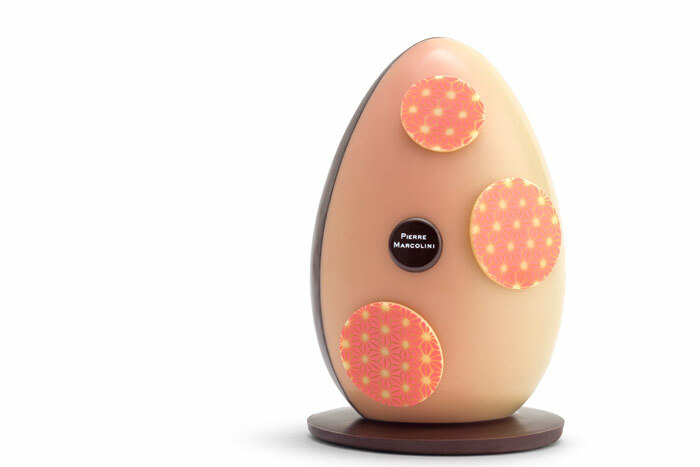 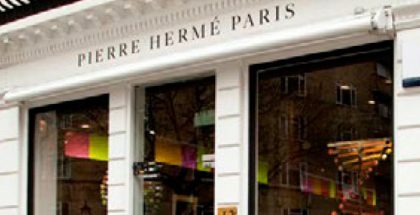 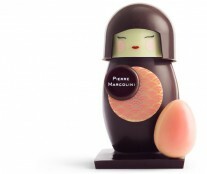 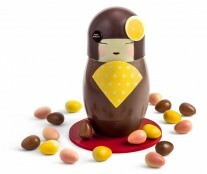 In his Easter 2017 collection, Pierre Marcolini shows his most poetic side with a collection of delicate Japanese chocolate dolls that, more than sweets, they look like decorations. 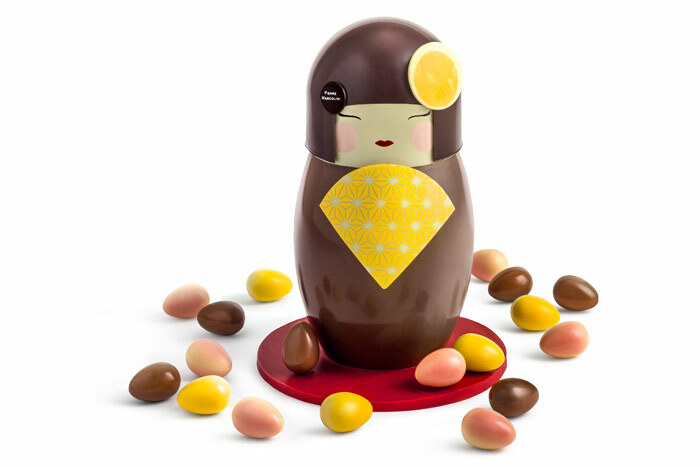 The largest is the Kimono, measuring 30 cm, made with dark and white chocolate and which is accompanied by a complete assortment composed of 30 small eggs of six different flavors (pistachio praline white chocolate, hazelnut praline milk chocolate, almond praline white chocolate, nougat praline milk chocolate, double fondant, and double milk) and 30 candy animals and bells in white chocolate. 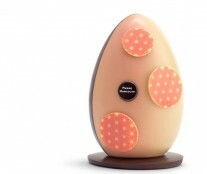 Following the previous piece is the Éventail, a little smaller (24 cm), with a milk chocolate body and a fan in white chocolate, and a repertoire of 16 small eggs of four different pralines (pistachio white chocolate, hazelnut milk chocolate, almond white chocolate, and nougat milk chocolate). 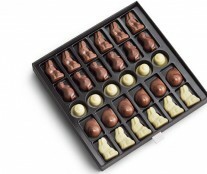 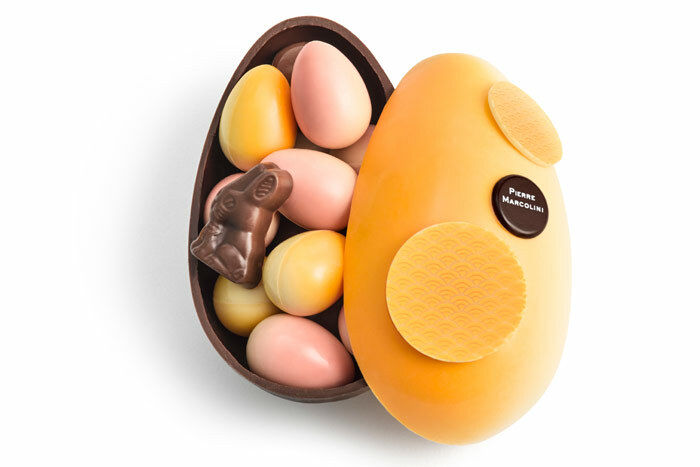 And in mini version (8 cm), the Belgian chocolatier proposes two: one in dark chocolate with an almond praline and white chocolate egg, and one in milk chocolate with a pistachio praline and white chocolate egg. 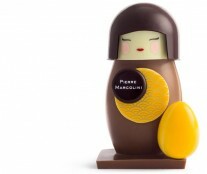 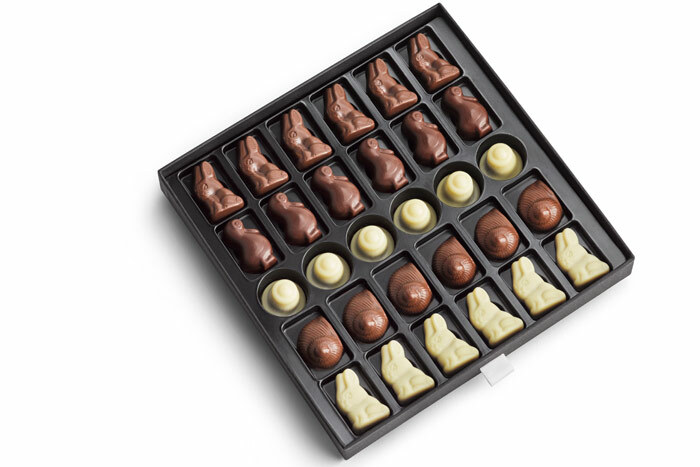 For those who prefer to celebrate Easter with the traditional egg, Marcolini also offers eggs in milk or dark chocolate, stuffed with candy animals and bells. 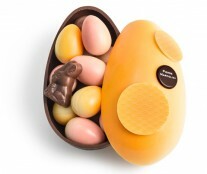 Also interesting are his boxes that, when opened, one may find eggs or rabbits, bells, snails and ducks.